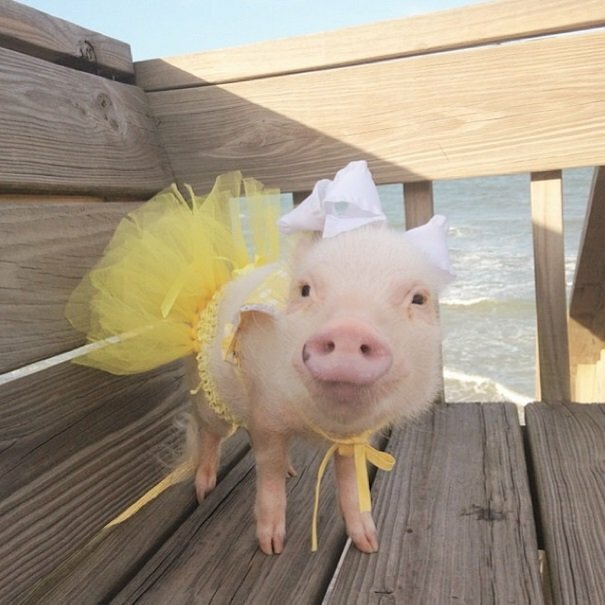 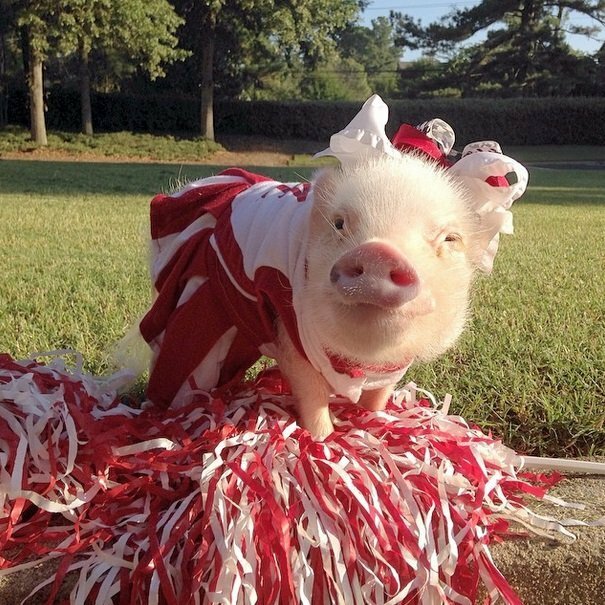 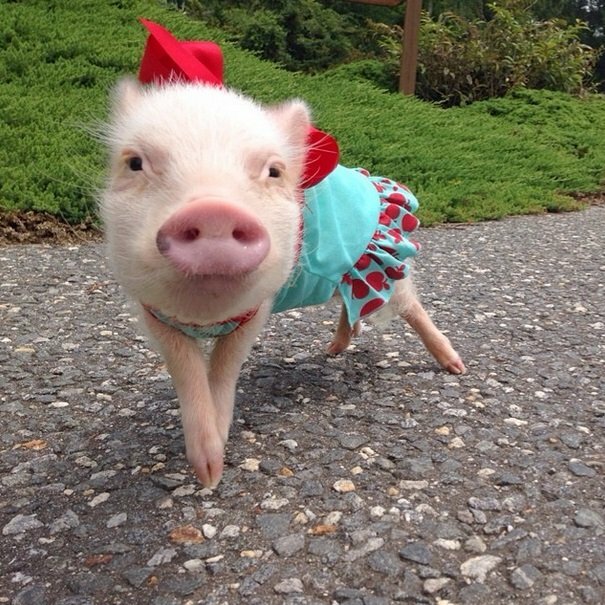 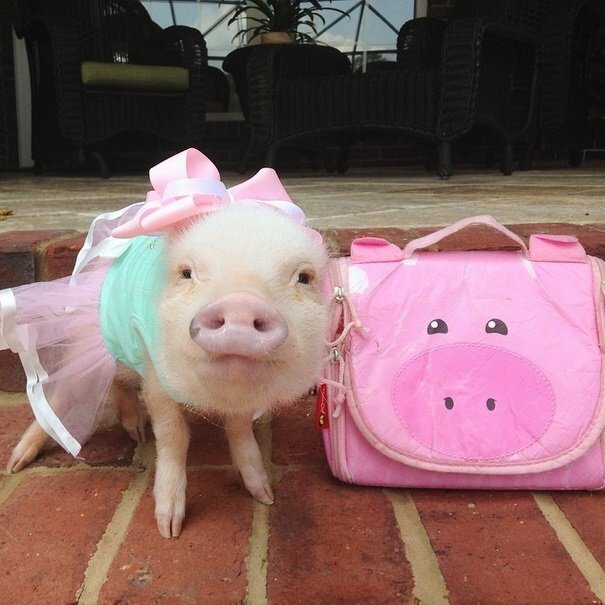 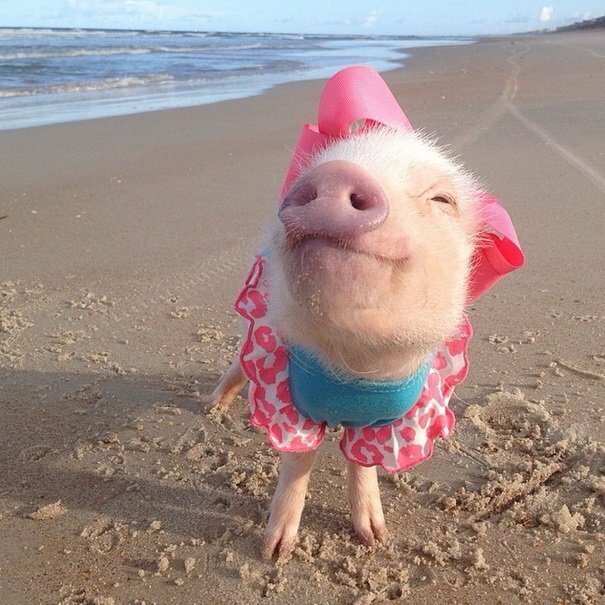 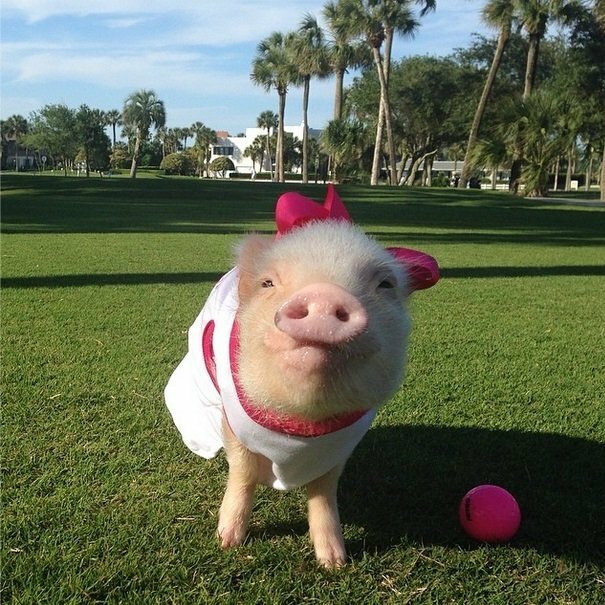 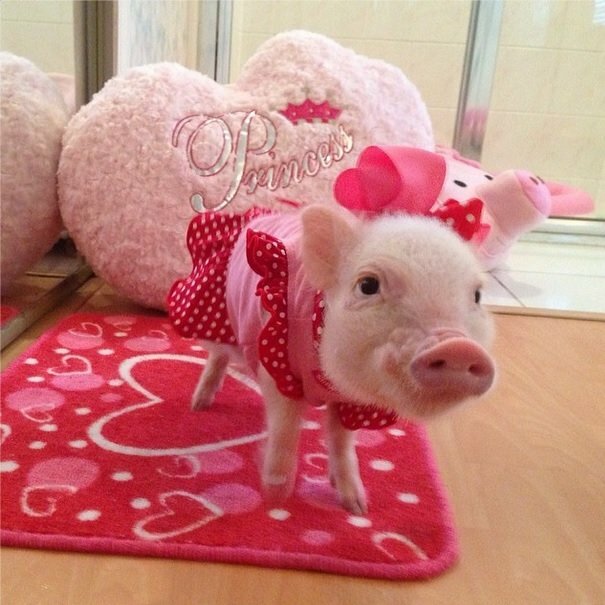 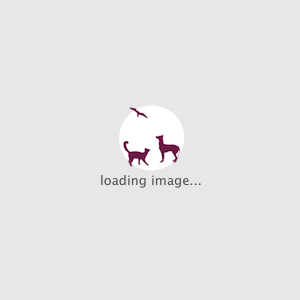 Priscilla is one of the fanciest piglets on the Internet! 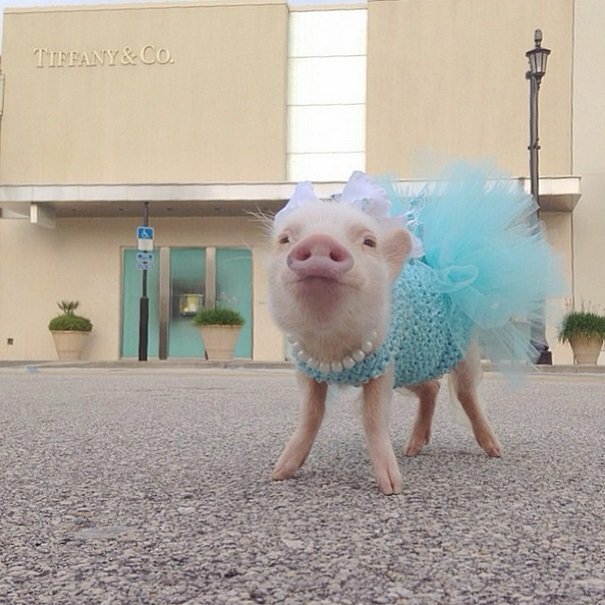 This fashionista has over 250K followers on Instagram and surprises her fans with some amazing outfits. 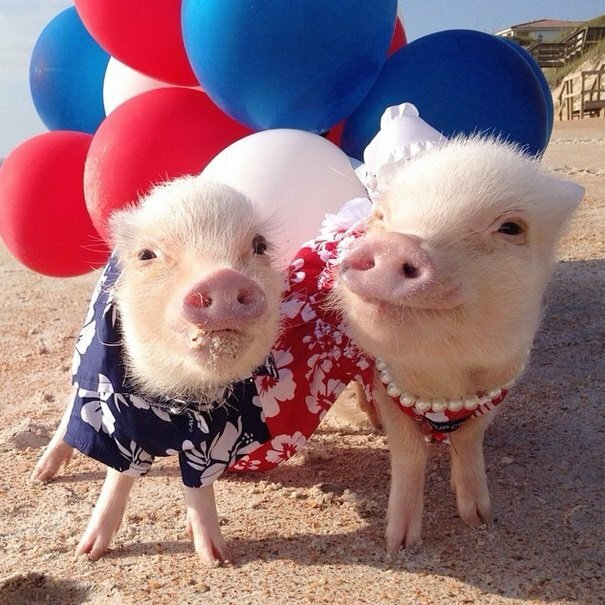 Priscilla lives in Florida with her little brother Poppleton. 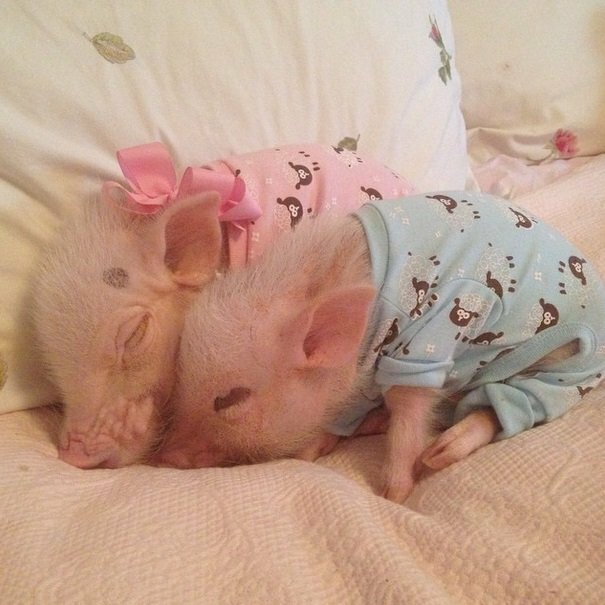 This two are so cute, aren’t they? 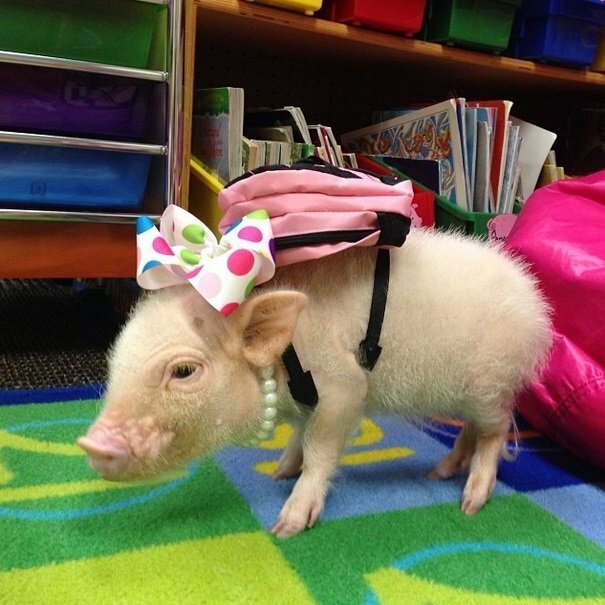 Their owner, Melissa Nicholson, is the 1st grade teacher. 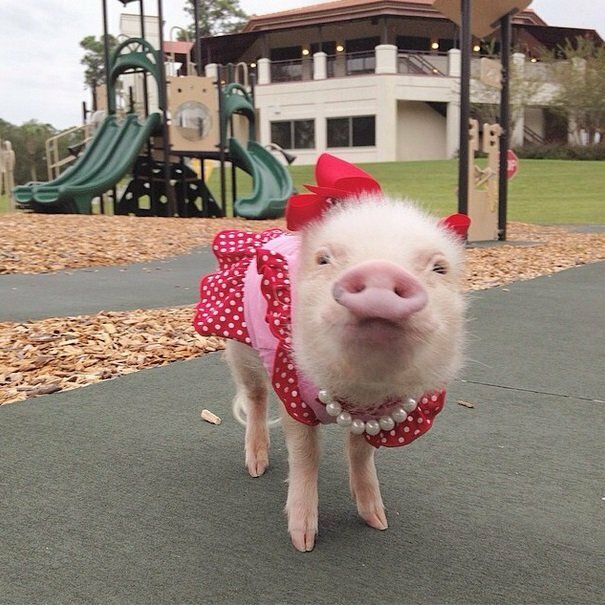 So together with her adorable brother, Priscilla accompanies their human mom to school every day. 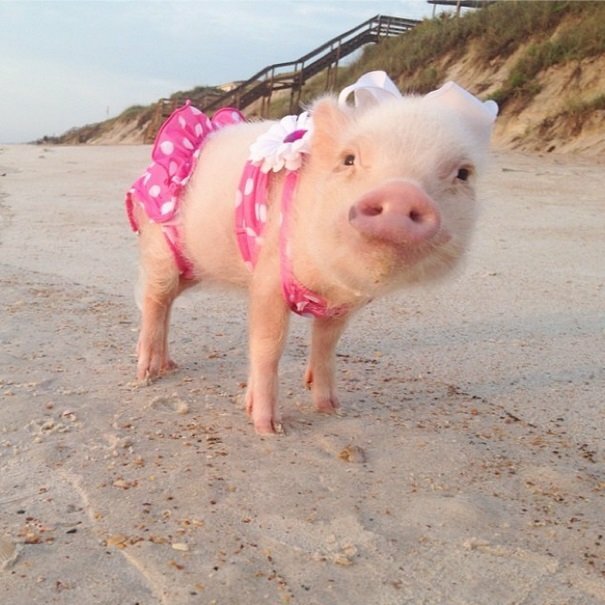 Prissy loves spending time outside, playing on the beach and posing all dressed up for her momma. 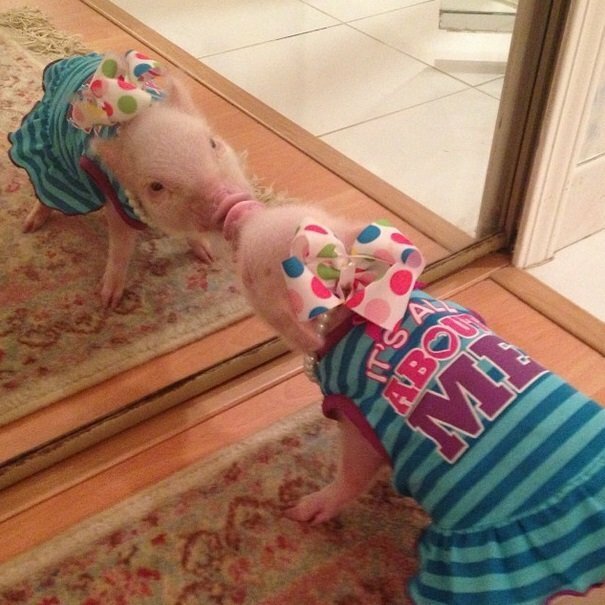 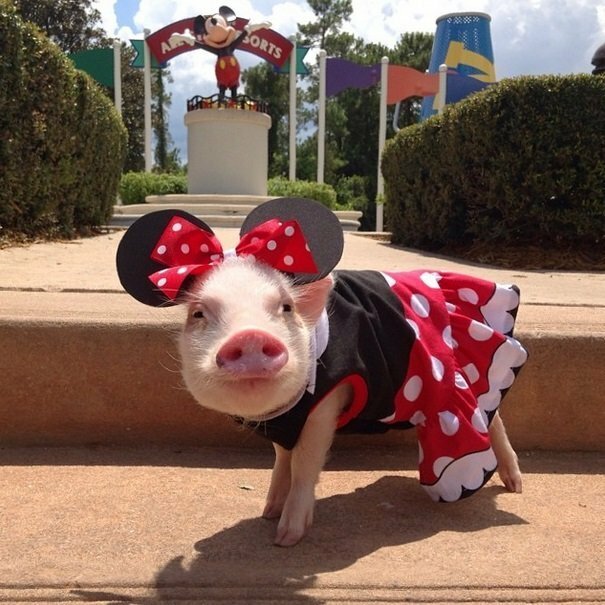 Take a look at mini pig’s wardrobe pieces! 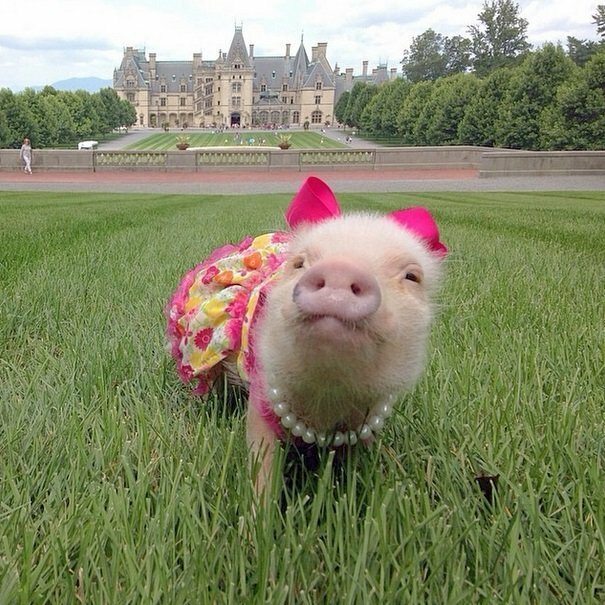 She loves wearing pearls, pink dresses and colorful bows! 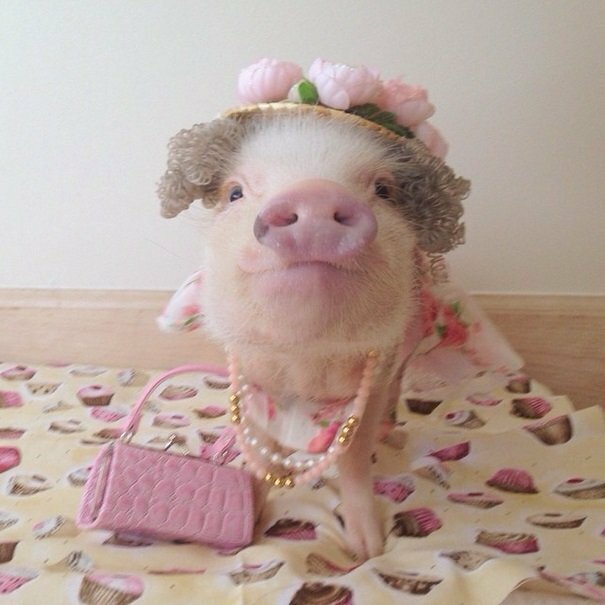 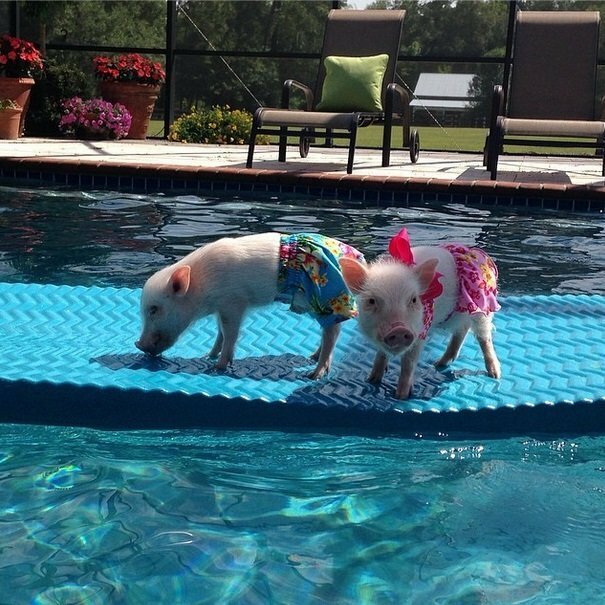 This stylish piggy is always on point! 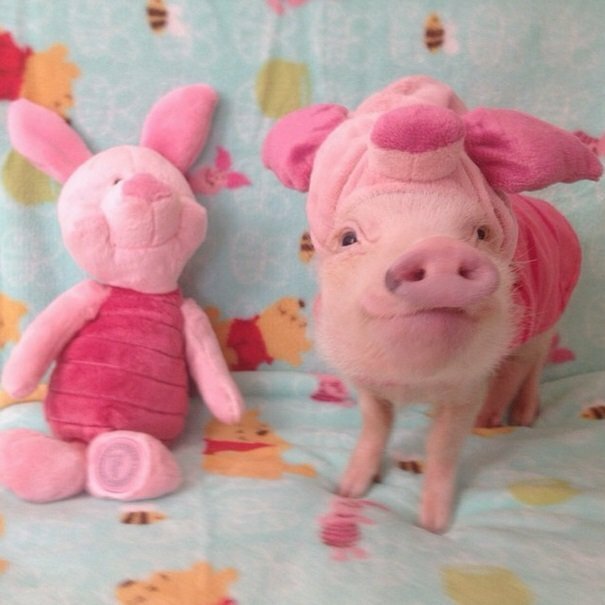 You can follow Priscilla and Poppleton on Instagram here.